After living with an LVAD, knowing the fear of awaiting surgery, the concerns and the doubts, I learned how comforting it was to talk to someone who had been through the same experience. 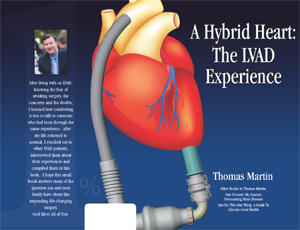 After my life returned to normal, I reached out to other LVAD patients, interviewed them about their experiences and compiled them in this book. I hope this small book answers many of the question you and your family have about this impending life-changing surgery.